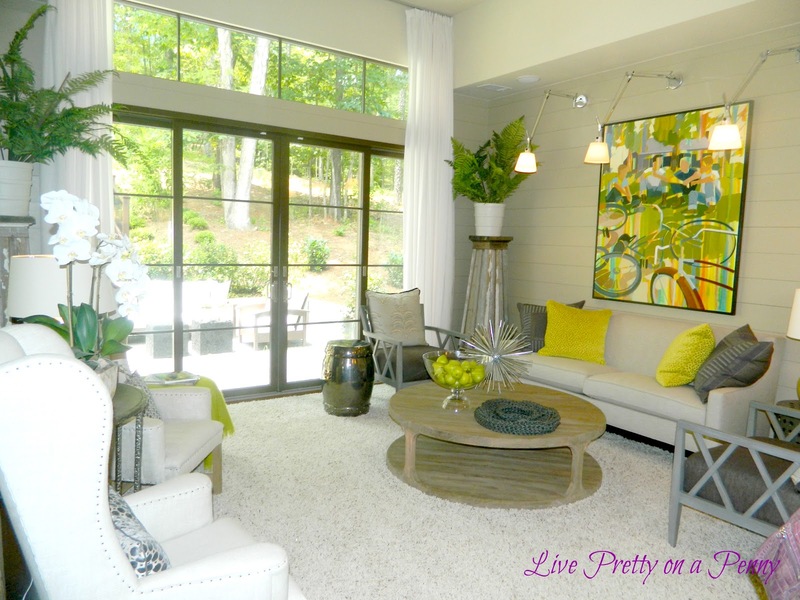 Back in May, I had the wonderful opportunity to tour the HGTV Green Home, located in the beautiful and sustainable community of Serenbe Georgia, just 30 minutes outside of Atlanta. 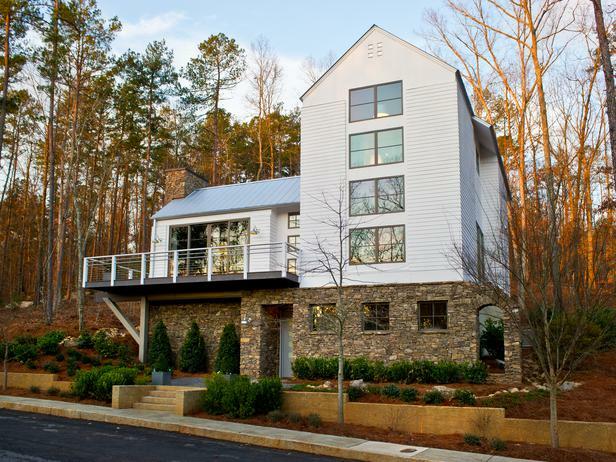 Okay, let me first say… Serenbe is absolutely beautiful, eco-friendly, and very peaceful! I went with a couple of friends and whenever things in life or at work begin to stress us out, we always say “it’s time for another Serenbe trip.” Needless to say, it was amazing and I was in home décor idea heaven! Admission cost was $20.00 (I know! Sheesh) and the tour time was limited to 30 minutes (hmph)! I snapped as many photos as I could of the things I loved. Here is a peek inside! 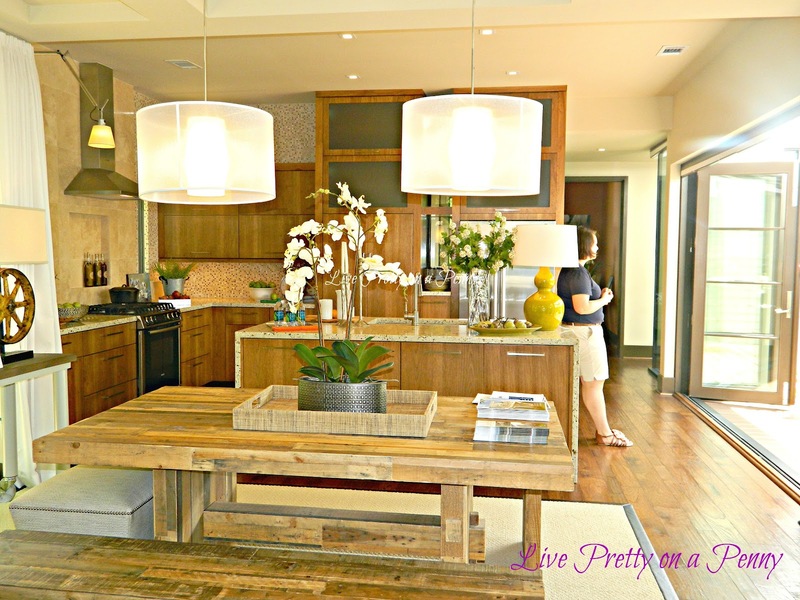 In this beautiful kitchen area, everything used was recycled/reclaimed. 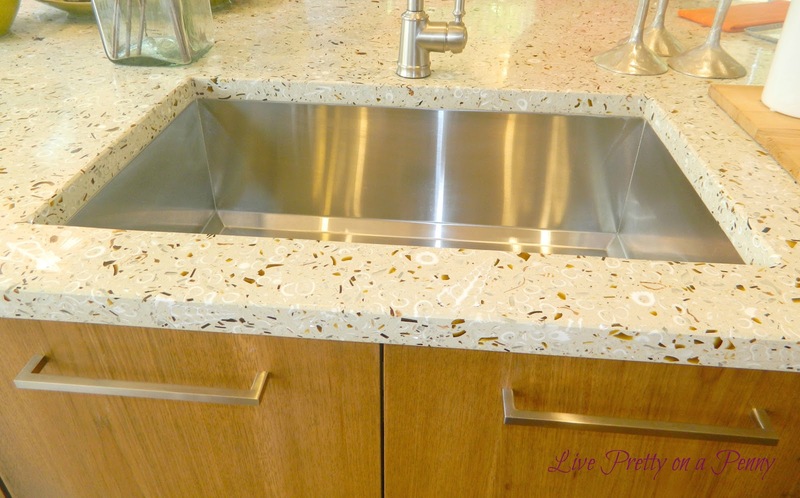 The countertop in the kitchen was made using local recycled beer bottles from Sweetwater Brewery and seashells. Looked and felt fabulous!!! I was also in love with the family room. Loved the mix of rustic, yet modern fresh elements. 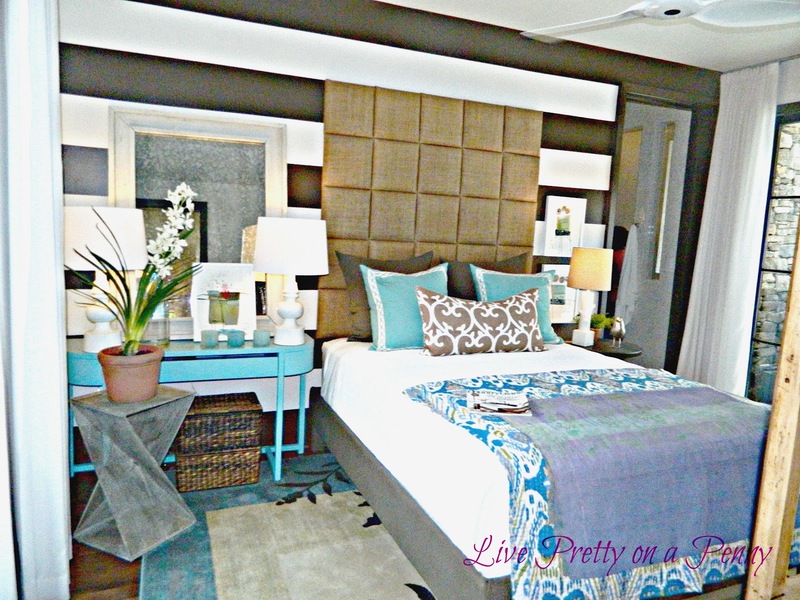 I also appreciated the use of neutrals with bold pops of color. And that rug…sigh…I could lay there and look out that window all day! Enjoying what you are seeing so far? Is there anything that you see that you would like to incorporate into your home? Stay tuned for Part Two of my visit!